ZAGREB - The State Commission for Supervision of Public Procurement Procedures (DKOM) has turned down as unfounded the appeals by the Austrian construction company Strabag and the consortium of the Italian company Astaldi and Turkey's IC Ictas Isaat Sanayi against the selection of the bidder for the construction of the Peljesac Bridge and access roads. 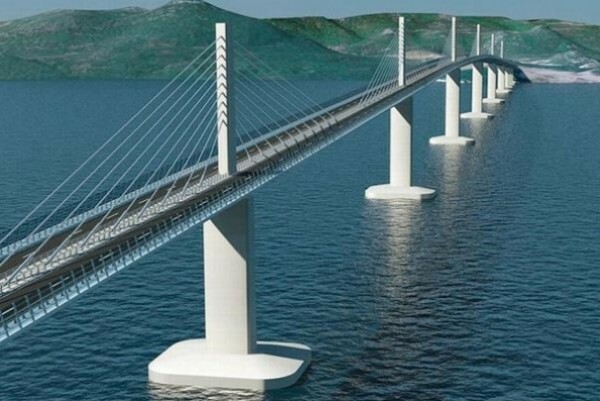 Croatia's state roads company, Croatian Roads, announced on January 12 that the Chinese company China Road and Bridge Corproation (CRBC), which made the cheapest bid in the tender - 279 million euros – will construct the bridge. Strabag, one of the biggest construction companies in Central and South-Eastern Europe with over 70,000 employees, put in in a significantly more expensive bid at 351 million euros. However, Strabag filed a complaint within the legal 15-day period for objections, claiming that it is “highly likely” that the Chinese company used what it called “dumping prices” to win the bid. The bridge connecting the Croatian coast with the southern Peljesac peninsula is important because it bypasses a short strip of the Bosnian coast that interrupts the continuity of Croatian and EU territory. For this reason, the European Commission last June offered to supply up to 85 per cent of funds for construction of the bridge.